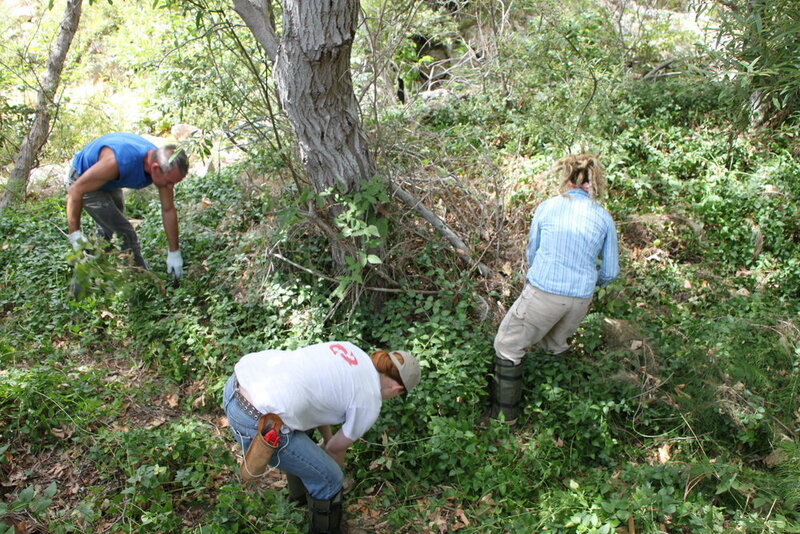 Channel Islands Restoration is a 501c3 non-profit that works to restore habitat on the Channel Islands and adjacent mainland through invasive plant management, native plant propagation, and native plant installation. We work to promote environmental education on the Central Coast through lectures, service trips, and habitat restoration volunteer opportunities. We conduct research and monitoring programs to identify and inform further habitat restoration efforts. Our work is only possible thanks to the tremendous amount of volunteer support we receive from our community. To sign up to volunteer and to be the first to know about new opportunities, head over to our Volunteer page and fill out the form. Earth Day is CIR's largest outreach opportunity of the year, and it's how most new members learn about our organization. Help us continue to grow by volunteering with us this year! Volunteers will help sell CIR t-shirts, caps, and field guides, and talk with the public about our work to protect rare & endangered native plants and animals by restoring sensitive & unique habitats on the Channel Islands and adjacent mainland. And don't worry, you'll still have plenty of time around your shift to enjoy everything that the Santa Barbara Earth Day has to offer. Click here to learn more and sign up! Thank you! Sheep on the San Marcos Foothills Preserve?